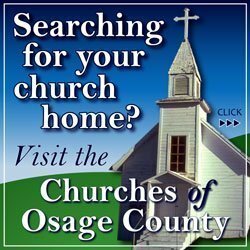 Drivers are becoming accustomed to the roundabout at the junction of U.S. Highway 75 and state highways 31 and 268, since it was fully opened to traffic last year on Nov. 17. 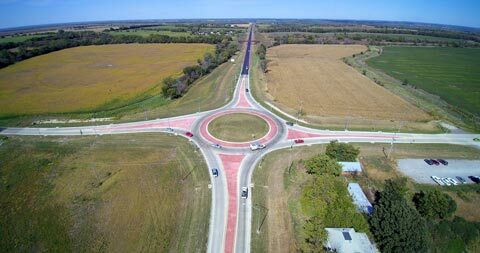 Formerly known as Two-mile Corner due to its proximity to Lyndon, the roundabout has now become a landmark of its own. 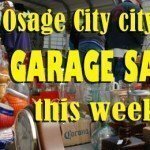 The roundabout was constructed in response to requests from Osage County residents for a safer intersection. 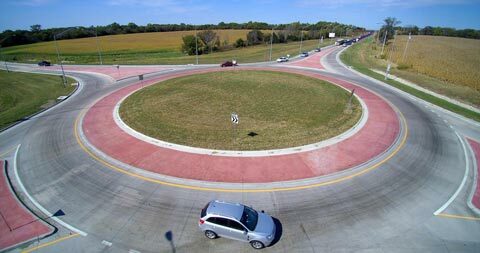 The roundabout was designed to address concerns about the safety of the intersection, which crash history included one fatality and 15 injury accidents from January 2004 to August 2009. 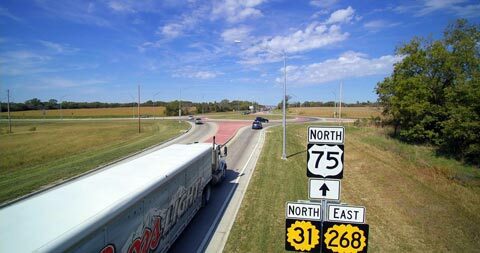 With U.S. 75 serving as a north-south corridor through Kansas for large trucks, including equipment such as turbines and blades for the wind energy industry, the roundabout was designed to accommodate such loads and standard load lengths up to 80 feet. It can also accommodate specialty carriers with rear steering at lengths of 195 feet or longer. The roundabout project also included a new commuter parking lot on the southeast corner of the intersection that is accessible from K-268. 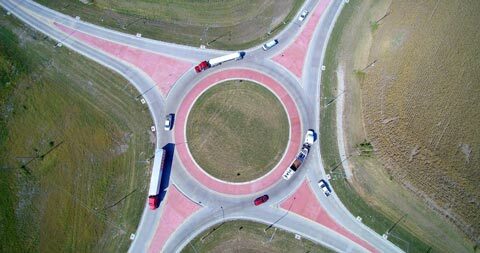 In a series of drone photos, local photographer Rick Potter gives us a bird’s eye view of the roundabout as it nears one year old. 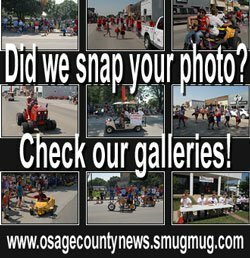 See more of Potter’s photos here: https://goo.gl/photos/3gG1rg3JEArBk5jB8.